1) Rinse and dry the pork shoulder. Salt and pepper liberally. 2) Mix the oregano, cumin, and chili powder with olive oil and rub all over pork. 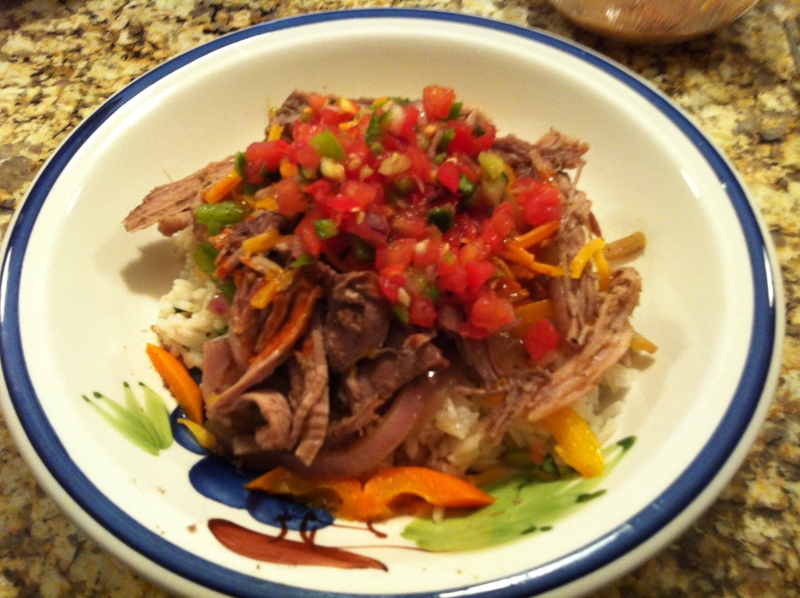 3) Place the pork in a slow cooker and top with the onion, garlic, and jalapeno. Squeeze over the juice of the lime and add the two halves. Pour in beer. Cover and cook on low for 8 to 10 hours or on high 4 hours. 4) Once the meat is tender, remove from slow cooker and let cool slightly before pulling apart with a fork. 5) In a large saute pan, heat the vegetable oil over high heat. Press the carnitas into the oil and fry until crusty on one side. Pour in some liquid from crock pot to keep pork from drying out. 6) Serve with Rice, salsa, re-fried beans, cheese etc.